The governance of the school is entrusted to the Board of Trustees. The Board of Trustees (BOT) are elected every three years, and provide the link between the school and the Ministry of Education. Five members are elected representatives of the parents and one member is the elected representative of the staff. The Principal is automatically a member of the Board of Trustees. 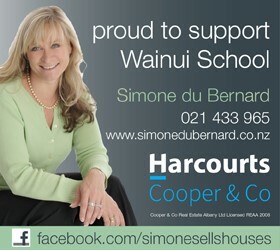 The current Wainui School Board of Trustees has determined its own unique governance / management approach based on delegated levels of responsibility for the following functions: administration, curriculum, finance, property, personnel and student support. The continuum below clearly shows our concept of governance. The day to day management of the school is the responsibility of the Principal. Policy and Procedures underpin all that the BOT do. All our policies are on a website School Docs. The meeting dates and approved minutes for the Board of Trustees for 2018.